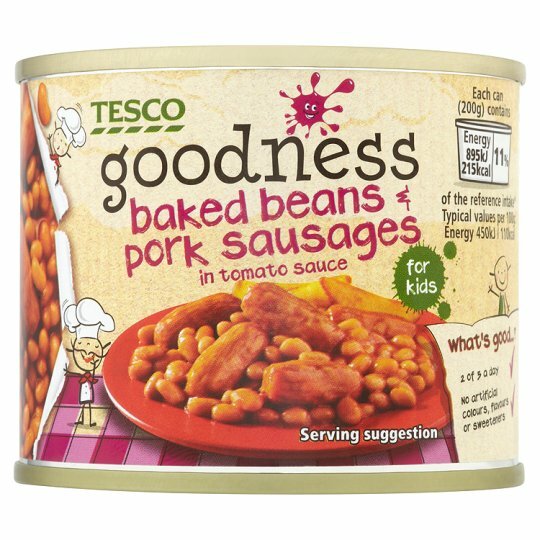 Haricot Beans (35%), Tomato Purée, Pork Sausages (20%), Water, Maize Starch, Apple Purée, Sugar, Concentrated Pineapple Juice, Concentrated Lemon Juice. Contains wheat.Allergy Advice! For allergens, including cereals containing gluten, see ingredients in bold. Instructions: Empty contents into a non-metallic bowl and cover. Heat gently for 2-3 minutes, stirring frequently.